I went to the Pageant of the Masters for the FIRST time since moving here five years ago, and I am kicking myself for not going earlier. It is AMAZING! I had an even more amazing time shooting the sassy street style before the show. Please if you ever get a chance, take an evening and GO SEE THE SHOW. It’s out of this world! 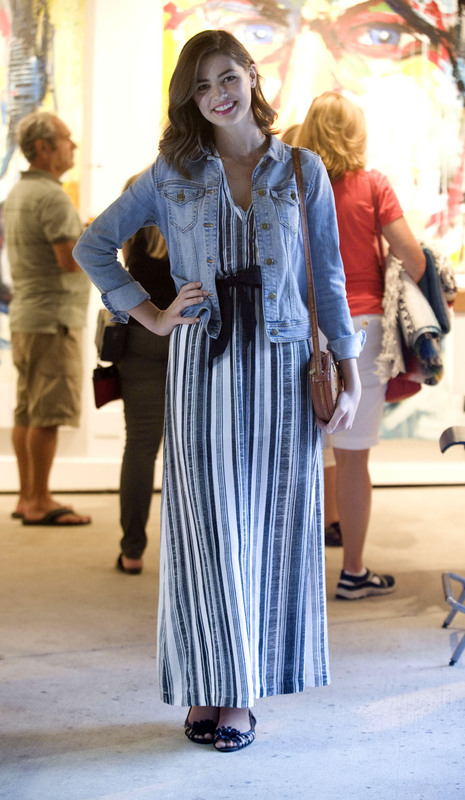 Savannah Husmann, 18, wearing an H&M maxi dress, denim jacket and Cole Haan shoes at the Pageant of the Masters. Hi Laryssa – My email is StrandStyleFashion@Gmail.com – Thank you for getting in touch!